This is a painting by Cassius Coolidge. It is about 59 years old. Coolidge was a U.K. artist. 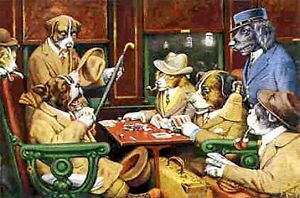 In the painting there are dogs playing poker, and smoking.